In celebration of Indian ingredients “Jihva for ingredients” was started by Indira of “Mahanandi”. 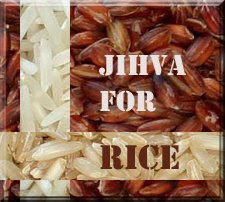 The event “Jihva for Rice” is now being hosted by Sharmi of Neivedyam. Wash and soak Basmati rice for 15 mins. Keep aside. Heat oil/ghee in a pressure cooker. Add Cardamom, Cloves and Cinnamon. Fry for a minute till fragrant. Now add the Green chillies and thinly sliced onions. Fry till onions are soft and become translucent. Add Ginger Garlic paste and fry for a couple of minutes. Now add the cut vegetables and the washed mint leaves. If the mint leaves are too big give them a rough chop. Mix well and cook till vegetables are half done, about 6-8 minutes. Now add the required quantity of water. Cover the lid and turn the flame to high. When the steam begins to rise, reduce the flame and let sit for a few seconds. Now open the lid and add the washed, strained rice. Add salt and a few drops of lime juice. Mix well. Cover the lid, turn to high and when the steam begins to rise again, place the weight, reduce flame to low and cook for 8-10 mins. Turn off when done and let sit for a few minutes before opening the lid. Mix well, serve hot with cool salad. Mix all the above in a bowl. Cover and set in the refrigerator for an hour. The salt helps bring out all the flavours. Serve with Vegetable Biryani. Veg. Biryani with Cool Summer Salad is simple and fulfilling! Enjoy!! Hi Priya, thanks! I hope you will like the Biryani. Asha, hehe...you definitely post more than me so chill :D I saw your salads..one word for them...awesome! Have a fun trip! 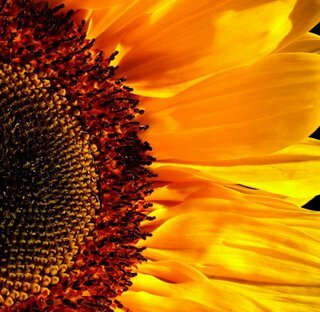 Hi Namratha, You have a very nice blog. Your biryani looks so good. it is very nicely presented. I feel privileged that I have been your inspiration. Thanks a lot. Thanks Richa, I'm glad you like it. Thanks for stopping by too. Hi, I have tried this recipe several times for several occasions and it has never gone wrong !! wonderful recipe .. Thanks..